With his multi directional castors and curved seat, Bojangles offers a fun supportive ride. 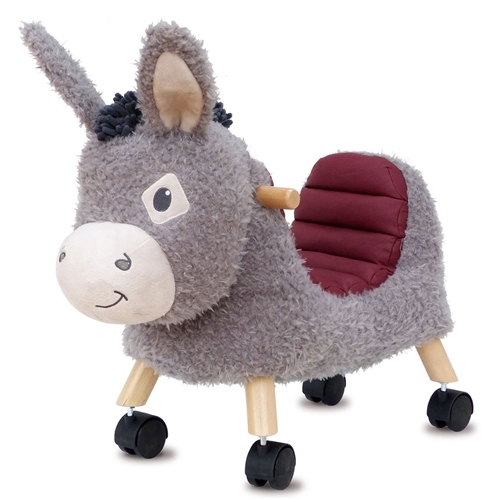 This adorable character comes with super soft fabrics, fun crinkles and a stylised leatherette seat. A solid wooden frame and softly padded body makes Bojangles both sturdy and huggable. Super soft fabrics, fun crinkles and a stylised leatherette seat. Solid handles for child to crasp. multi directional castors and curved seat help keep baby secure.